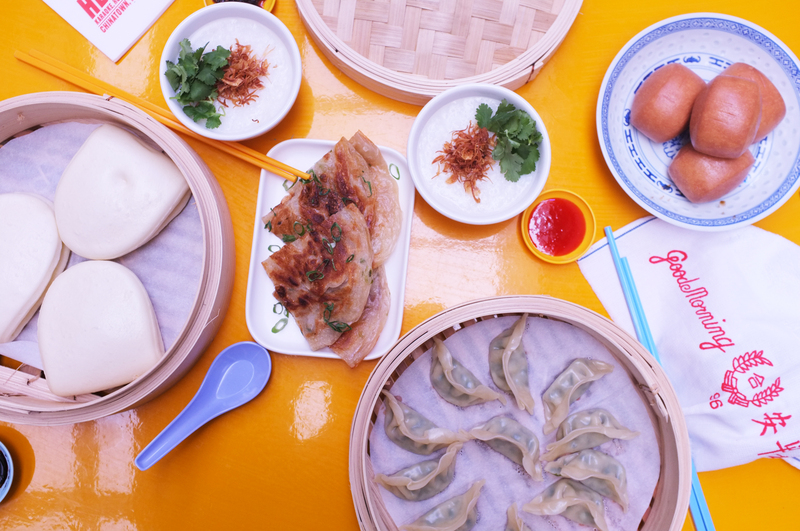 Spring has sprung and so has the season for rooftop eats – starting with Heroes’ monthly rooftop Yum Cha(r) parties. Launching on Sunday 14th October, diners can head to the multi-levelled Bourke Street bar and eatery for what can only be described as yum cha, meets outdoor Asian charcoal barbeque, meets a rooftop. Opening in July this year, Heroes is the result of another successful collaboration between the owners of Melbourne hot spots Fancy Hank’s and Good Heavens (Kent Bell, Mike Patrick, Daragh Kan and Myles Munro). Featuring a menu of Singaporean Hawker-style barbeque where every element has been made in-house, the venue has proven to be an exciting and memorable dining experience. Throughout the Yum Cha(r) series, Heroes’ head chef Alicia Cheong will be collaborating with a string of Melbourne talents, with each chef creating one meat and one vegetarian dish so there is something for everyone. To kick-off the Yum Cha(r) parties, Cheong will be joined by Daniel Inzunza (Fancy Hank’s), followed by Ross Magnaye (Rice Paper Scissors) and finally Jerry Mai (Annam). “We’ve had chef collabs on the cards for a while now, but we wanted to do something a bit different. We love the socialising that happens around a yum cha table so we decided this needed to happen on the roof”, said Cheong. For the first event on Sunday 14th October Fancy Hank’s head chef Daniel Inzuza will cook a smoked beef short rib with sweet cola and fermented beetroot glaze and BBQ sweet corn with black garlic and provolone. Heroes head chef Alicia Cheong will cook a crispy soy pork belly with spring onion ginger dressing and puffed pork rind and charred okra and jicama salad with black vinegar sesame dressing with lotus chips. Yum Cha(r) sides will include deep fried Sambal buns, steamed chive dumplings, congee and spring onion pancakes. For those who feel they need to work up a sweat after a delicious feed, Heroes’ have Melbourne’s newest karaoke room, which is perfect for belting out a few classics with friends.